Not to mention Liam is strictly off limits. Forbidden. Her coaches have made that perfectly clear. (i.e. 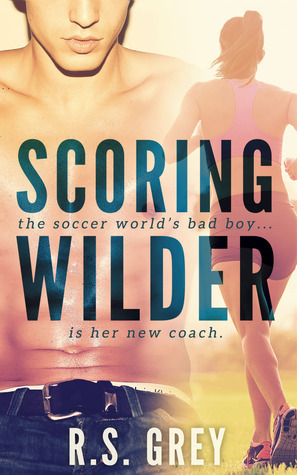 “Score with Coach Wilder anywhere other than the field and you’ll be cut from the team faster than you can count his tattoos.”) But that just makes him all the more enticing…Besides, Kinsley's already counted the visible ones, and she is not one to leave a project unfinished. Reason 1: Liam Wilder is HOT and he will be your new HOT book boyfriend. Seriously, he is on F-I-R-E.
Reason 3: Kinsley’s soccer skills & soccer bod will make you want to go out for a run (indefinitely) in your new neon pink sports bra. Reason 4: “Scoring Wilder” will remind you to continue chasing your dreams, despite the obstacles life will throw your way. Go and one-click this bad boy NOW!